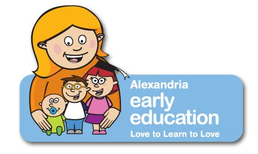 Alexandria Early Education is a boutique childcare Centre in Alexandria. With over 10 years of experience, it is the longest established Centre in the area. Our centre is an innovative and leading provider of long day care. Alexandria Early Education is more than just a name. It is the start of a child’s development their education and the family’s relationship with us-a foundation to build upon. The unique philosophy at our centre is to make sure that every child enjoys a safe , educational and stimulating environment where they “love to learn and learn to love”.